Minerals are the nutrients that exist in the body, and are as essential as our need for oxygen to sustain life. Minerals are also found in organic and inorganic combinations in food. In the body only 5% of the human body weight is mineral matter, vital to all mental & physical processes & for total well being. They are most important factors in maintaining all physiological processes, are constituents of the teeth, bones, tissues, blood, muscle, and nerve cells. Minerals are essential for good health. The body utilizes over 80 minerals for maximum function. Because our plants and soils are so nutrient depleted, even if we eat the healthiest foods, we are not getting all the minerals we need. 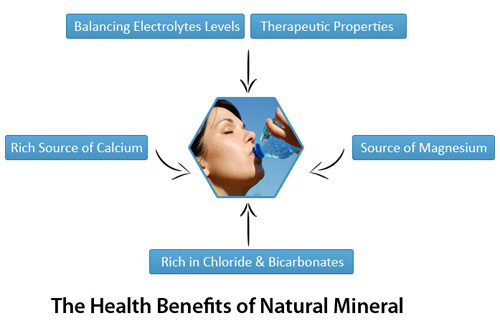 Minerals are very important in keeping the blood and tissue fluids from either becoming too acid or too alkaline and they allow other nutrients to pass into the bloodstream, and aid in transporting nutrients to the cells. They also draw chemicals in & out of the cells. A slight change in the blood concentration of important minerals can rapidly endanger life. Why KR FOREVER NATURAL CARE? We are providing superior quality 100% natural products to meet real market needs.We are providing the microscopic analysis of Multi TradeCommitted to give you optimum benefits, Facilities and the life style, you really deserve .